On July 16th, at Vilém Flusser Archive, Karla Brunet will give a talk on two books she has prepared during the year grant at UdK Berlin. 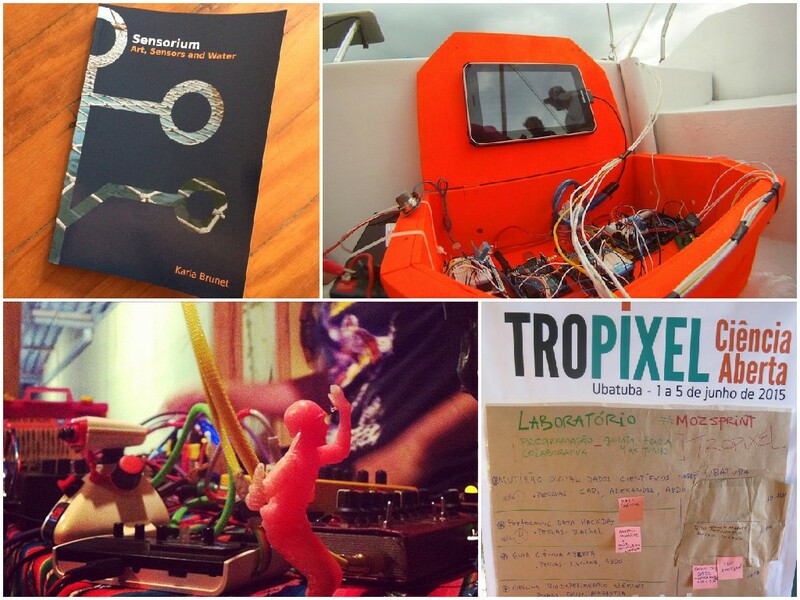 The first, “Tropixel: Arte, Ciência, Tecnologia e Sociedade” (Tropixel: Art, Science, Technology and Society), is a collection of articles resulted from discussions, practices and reflections generated from Tropixel Festival meetings. The book, organized together with Raquel Rennó, is divided in three parts: Part I – Tropixel: Activism, Environment and Society, Part II – Tropixel: Arts and Sciences, Part III – Interviews. The “Sensorium. Art, Sensors and Water” book is a collection of different papers, programming code and images of the project Sensorium: from the sea to the river. The papers have been published before on different conferences and proceedings – some are in English, others in Portuguese. The book is a concluding document to this project, and also, a starting point for the next project.